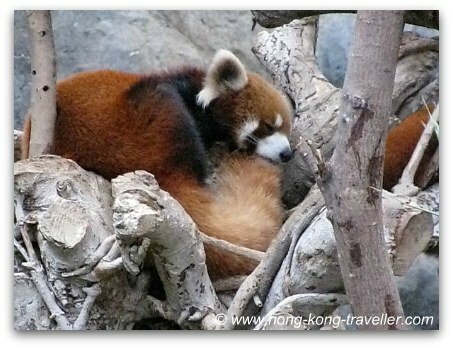 Ocean Park is home to a pair of Red Pandas, Tai Shan (male) and Rou Rou (female). You find them at the Amazing Asian Animals Giant Panda Adventure Exhibit which they share with Giant Pandas Ying Ying and Le Le. 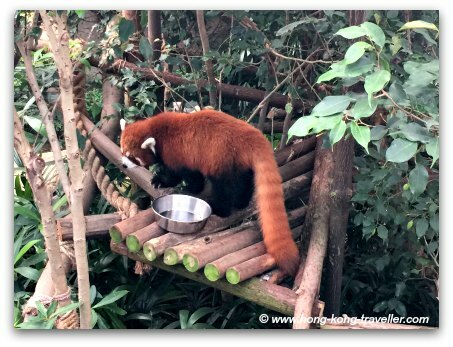 Red Pandas are beautiful creatures and are coveted for their furs, in fact, poaching is one of their major threats. Like the Giant Panda, their population is also threatened by loss of habitat and deforestation. Native of China, this small arboreal mammal is found in the mountainous forests of Sichuan and Yunnan provinces. The Red Panda population is estimated at about 10,000 and is no longer classified as "endangered" but rather "vulnerable". 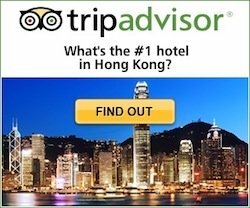 You find them mainly in China and India, and to a small degree in Myanmar, Nepal and Bhutan. 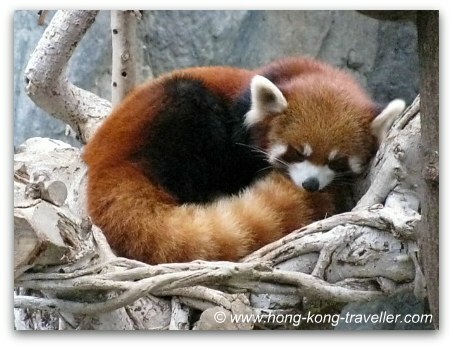 The Red Panda is much smaller than his black and white counterpart, and in fact, is much closer in looks to the racoon. 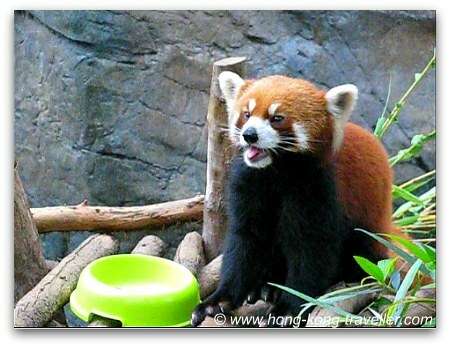 The Red Panda is more of a reddish-brown color with a long bushy tail. 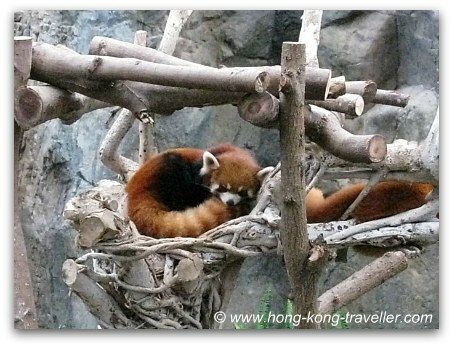 These pair of Red Pandas are the first to have made an appearance in Hong Kong. You can learn much about them and the perils of their fragile habitat. Don't miss them at the Amazing Asian Animals Exhibit!